Web deployment now! 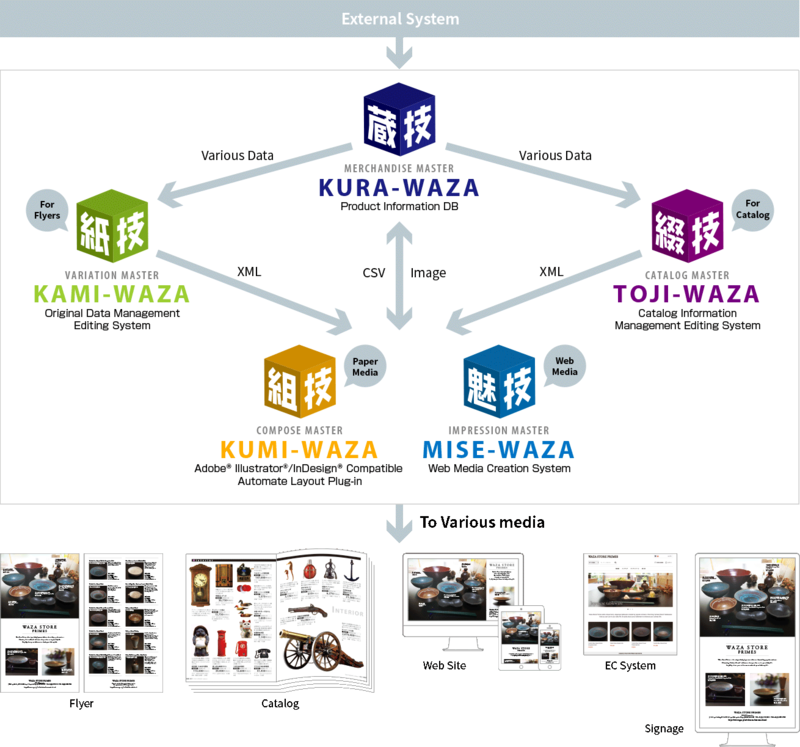 Reduce production cost with MISE-WAZA!! Many uses, including market promotion, sales, and administration. Use the produced media on the Web!! This is a great system to use flyers, catalog, pamphlets and other paper media contents for the Web. Browser is uses for displaying, thus smartphone and tablets are also supported. A quick and easy way to implement cross-media publishing. Special skill or technology such as HTML is required for Web site development. 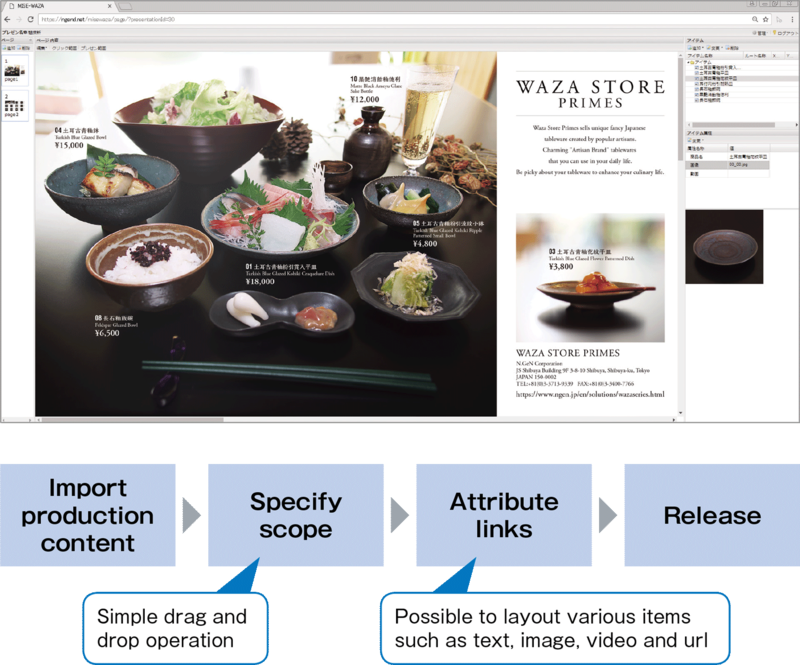 However, MISE-WAZA is simple, as long as you learn the product operation. Using easy to use user interface, you can easily and quickly create function rich Web contents. You can import paper media JPEG and PDF data. You do not need special skills or expertise as it is easy to specify clickable scope. The number of pages can be increased or decreased as needed. The index will point to the needed page, so it is convenient for high-volume production content. 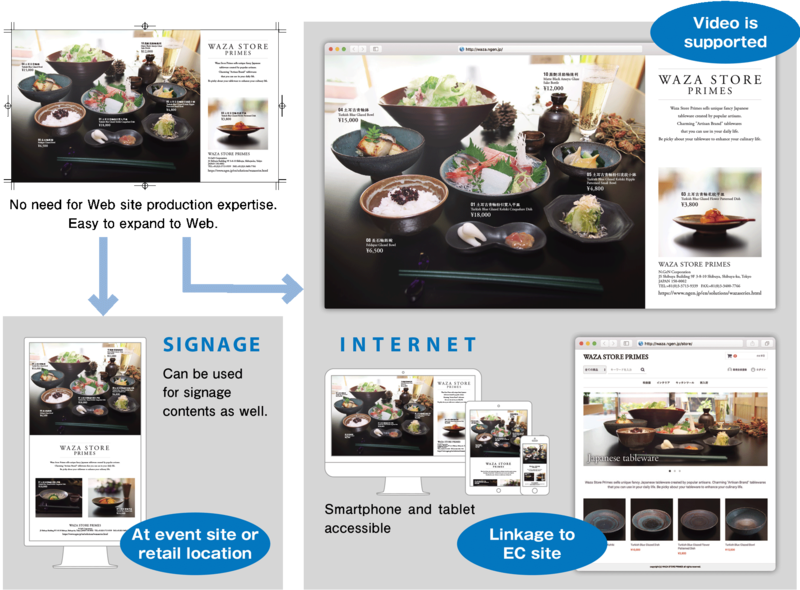 Video can be display anywhere in the page, so CM or promotion video can be utilized very effectively. It is possible to link with existing EC site or inventory management system. System development proposal and support are also available according to your needs. Many uses based on needs and objectives. For example, development of sales tools based on sales know-how can help enhance new comers’ skill. and clearly enable the reader to grasp the overall picture as well as details.